A Passive House is a building standard that is truly energy efficient, comfortable, affordable and ecological at the same time. 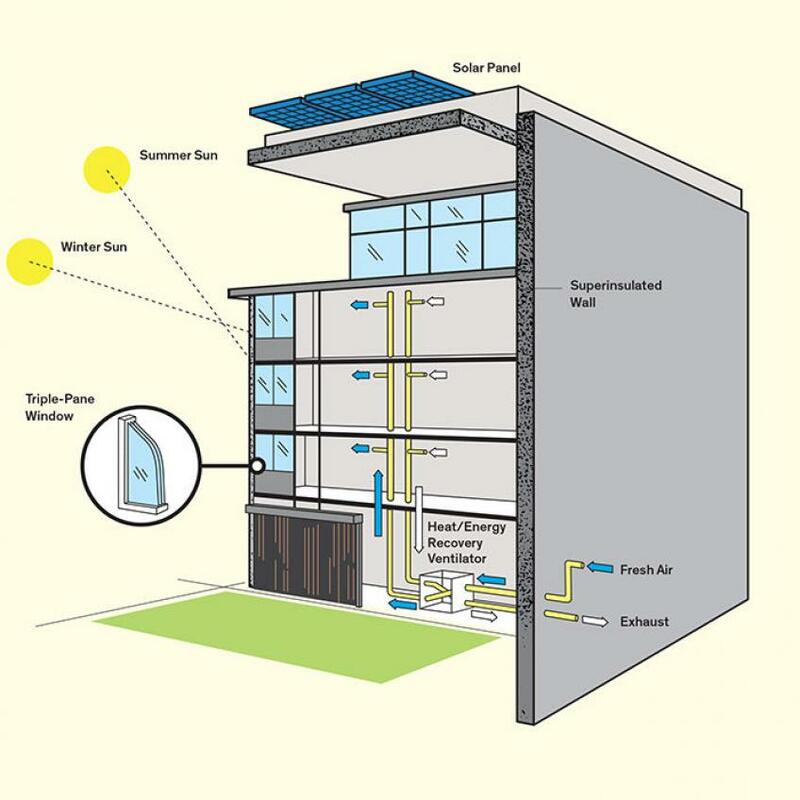 Passive Houses are heated primarily by the sun, they capture the the sun’s energy in the form of heat, using the design and construction of the home itself to eliminate the need for a conventional heat source. Superior insulation, airtight construction, energy-efficient windows and carefully controlled ventilation are essential components of the home’s construction.